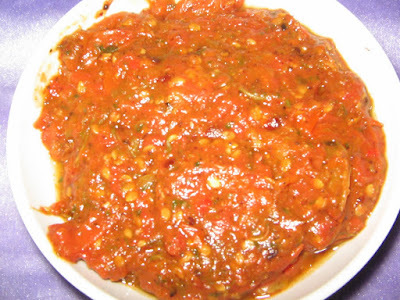 Tomato pachhadi is very tasty enough with Rice,Chapathis and Dosas etc. 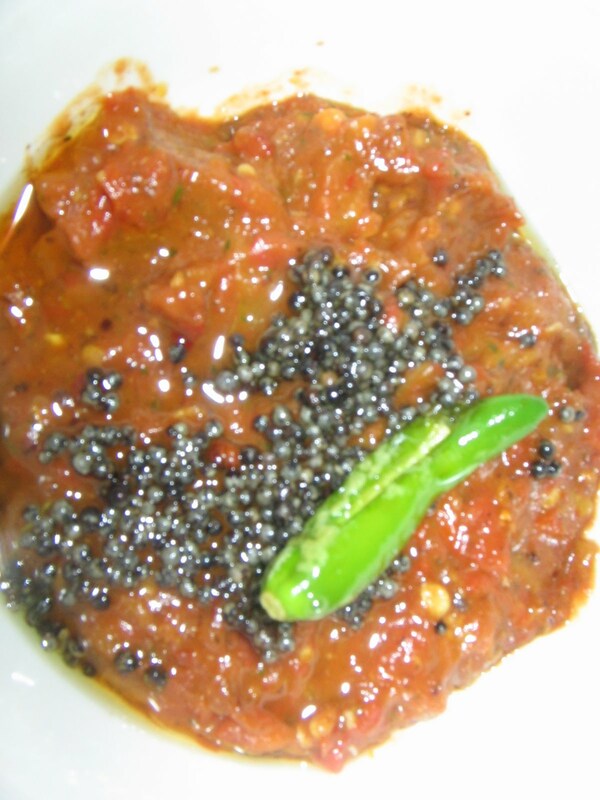 place a kadai add 2 spoons of oil,after heating add Chopped Tomatoes, and saute in low fire for 5 to 10 mins until it is tender and cooked,remove from the fire.Place a small kadai for seasoning.Add 1 spoon oil to it.Then add Urad Daal,Mustard seeds,Menthulu ,Red chillies,Hing, remove from fire after it splutters. Next step is first,grind the seasoning along with Green chillies and Kothimeer.After it is grinded well soft add the Cooked Tomato mixture to it,add salt and grind in to a paste. 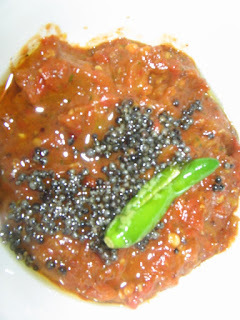 Lastly Garnish if you like,with Mustard seeds and Raw Kothimeer.